Spots and Screens. Selby, North Yorkshire, UK. 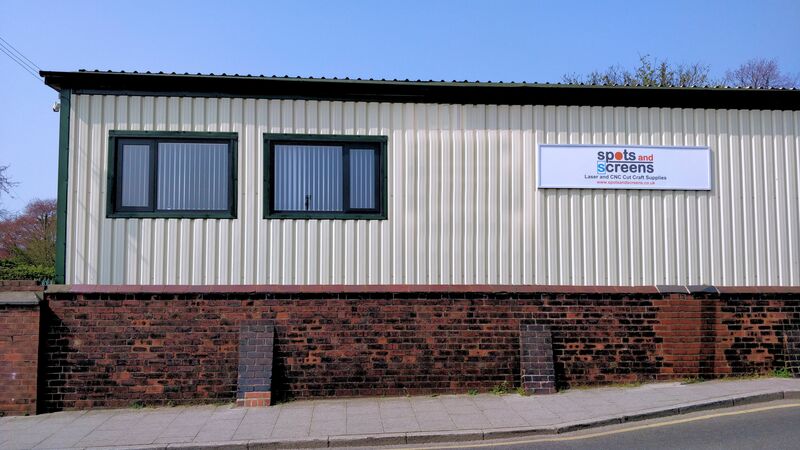 Spots and Screens Ltd is based in Selby, North Yorkshire, we began making greetings cards and gifts in 2014. Our product range continues to increase, and now includes decorations, keyrings, and card and MDF craft supplies. Spots and Screens specialises in laser-cut MDF crafts shapes, and we are now supplying many products to the crafts industry and members of the public, locally and globally. Spots and Screens Ltd offers excellent customer service throughout the order process. Our products are excellent value; we work hard to ensure that our prices remain as low as possible. We are always keen to make improvements in both our service and our products, and we aim to accommodate all custom requests; they allow us to increase our product range. Our products are designed and produced in the UK to keep prices to a minimum. We are environmentally conscious, and recycle packaging and materials where possible. "Excellent service, the items arrived extremely quickly, great communication." "I cannot praise Spots & Screens enough. wonderful service and communication, such a lovely company. The products are high quality and very reasonably priced and super fast delivery." "Great service, brilliant customer care and high quality products. Couldn't fault them and will definitely be a returning customer."